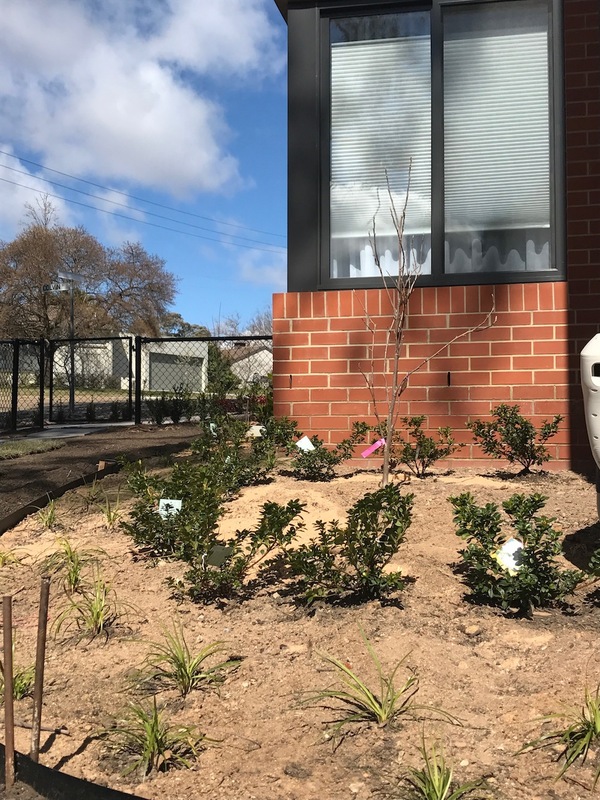 Those of you who have been following the blog for a while would know that the landscaping at my house (or complete lack thereof!) has been frustrating beyond belief. Thanks to my step-father, I’ve had a landscaping plan in hand for many months. He designed it so it could be DIYed by me — all plant varieties and quantities were clearly mapped out so it was just a matter of getting it DONE! Problem was, I’ve been so busy with work that I haven’t had time to get out into the garden and I also haven’t had enough money to hire a landscaping firm to undertake the work for me, which had me at a standstill! That’s when I discovered Airtasker — a new online platform that links tasks with capable and willing people to do the work. Anyone can post any task (provided it’s legal) on the platform for FREE and wait for offers from Airtasker Workers. I like that you’re in control — you set your fee, you can pick which worker you’d like to complete the task (after looking a their completion rate, ranking and reviews) and there’s no obligation to hire. 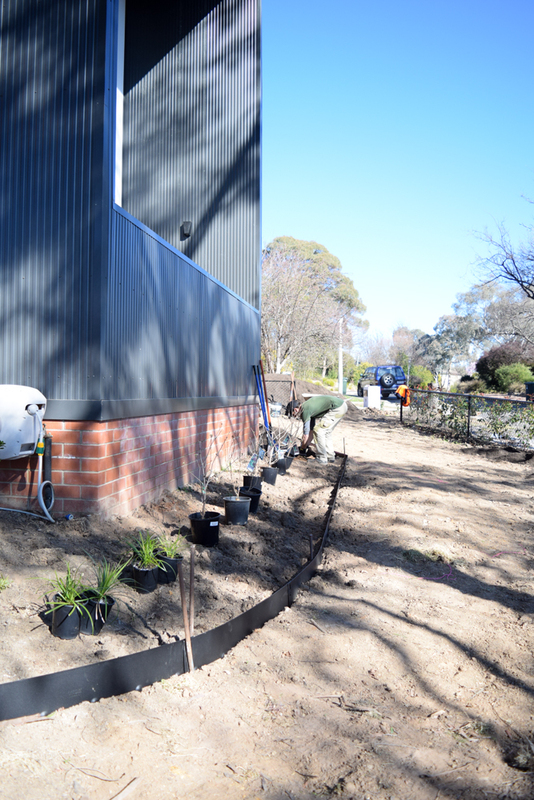 My task was for one day of gardening work to plant the new plants in my front garden. I selected an Airtasker Worker with a fab completion rate and positive reviews, and wasn’t disappointed. He contacted me right away to come out and see the job in advance so he would know what equipment to bring on the day. Later that week he arrived punctually and got straight to work. 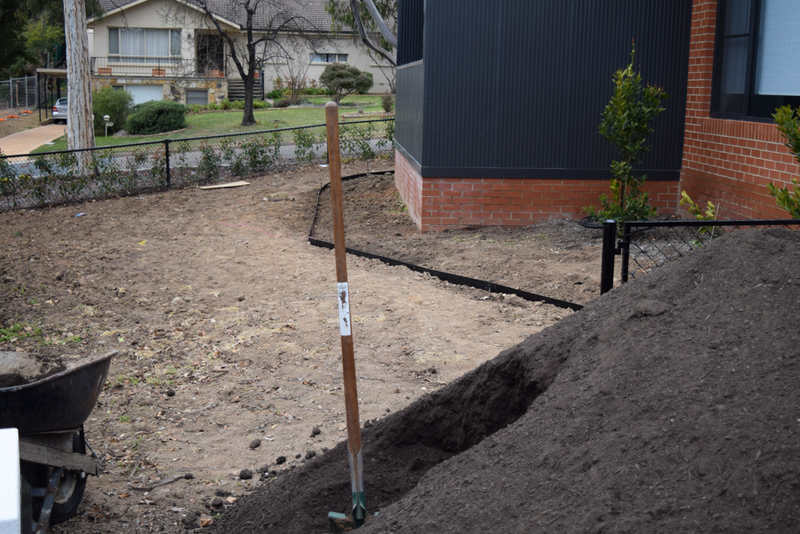 The planting only took him a few hours so he then made a head start on other landscaping work — helping me to shovel 8 cubic metres of dirt (oh the blisters!) and laying the pavers for the garden path. 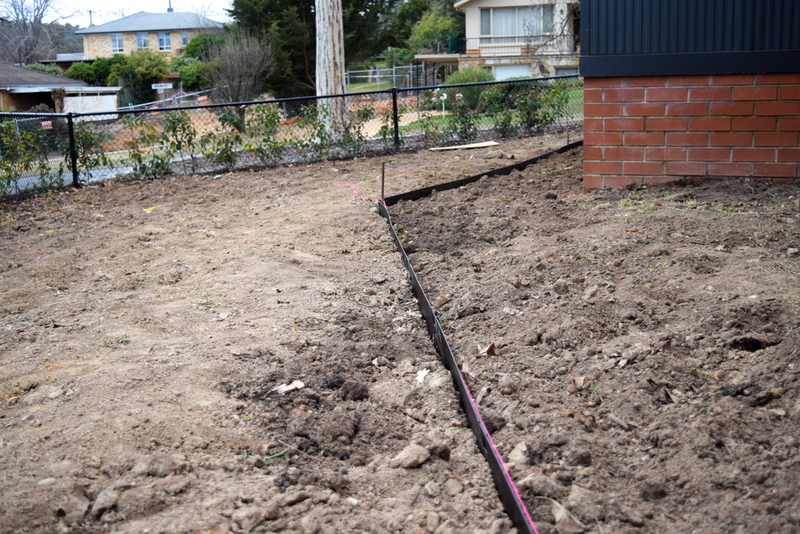 After one day of work with an Airtasker, my front yard was actually beginning to look like a garden and with most of the hard work done, I could see the end in sight. He was also incredible helpful — offering practical advice on what I should do to complete the space, including running an irrigation system and how to prepare the soil for the grass. If you’ve got jobs around your home that you’ve been putting off — anything from cleaning, to removing walls, to moving heavy furniture — why not try posting it on Airtasker and seeing what results you get. Did I mention it’s totally free and there’s no obligation to hire? Airtasker isn’t just for house and gardening jobs though — you can find skilled workers in IT, graphic design, and so much more. You can check out Airtasker’s website here and see why it’s becoming the trusted platform to hire workers to get jobs DONE. 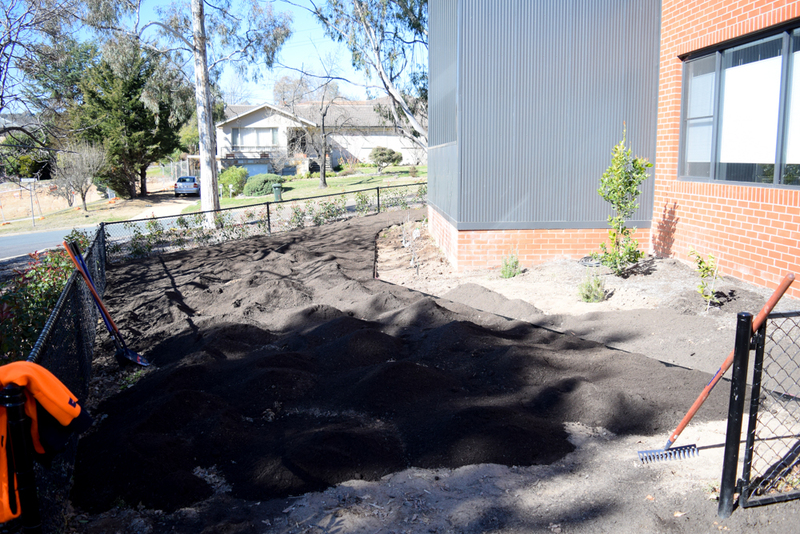 Nearing the end of the day, we moved 8 cubic metres of dirt! I’m inspired to give it a go. Thx Gina! I used Airtasker straight after seeing your instastories!